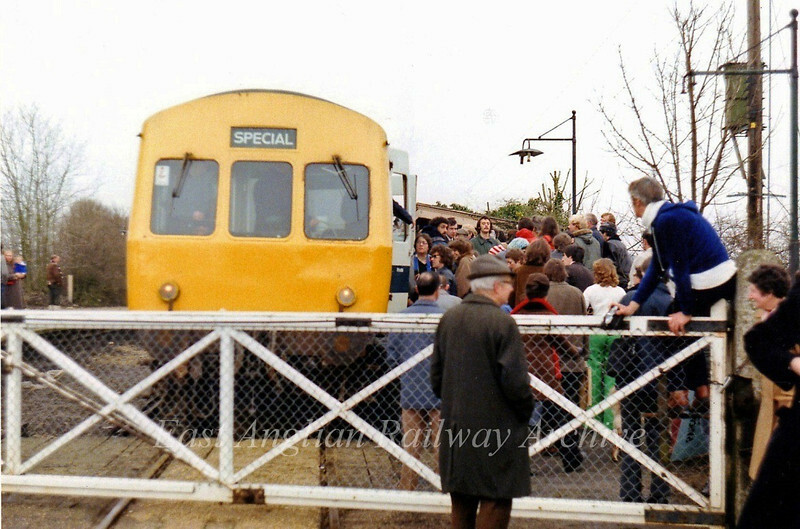 The platform is crowded at Swavesey with the arrival of the first Railway Development Society Special to Cambridge. The first passenger train to arrive here in nearly nine years. No trace of the station remains today. 31st March 1979.